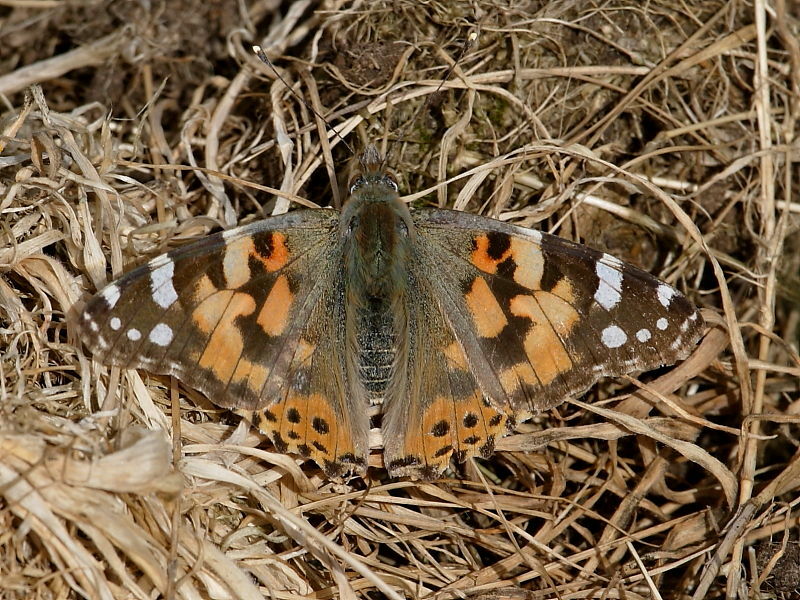 This Painted Lady butterfly, Vanessa cardui, is our first migrant butterfly of the year and was seen warming itself up on a sheltered patch of dried grass at Rosemullion Head, near Falmouth. Butterflies have been very scarce so far this year and although we’ve seen a few Speckled Wood, Whites, Peacocks, Small Tortoiseshell and a single Holly Blue in the last few days numbers are still very low. 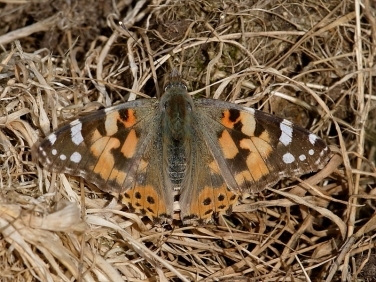 The origins of some butterflies can be questionable but despite a lack of southerly winds to assist it Painted Ladies are strong flyers and it seems likely this is a true migrant.